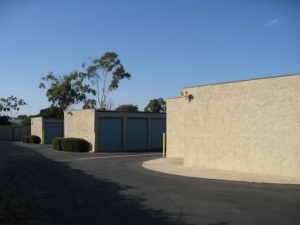 Conveniently located in close proximity to both I-5 and I-405, Self Storage Irvine is your one stop storage solution! 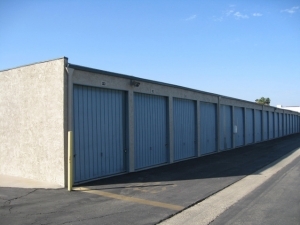 We have a great selection of drive-up access storage units, sell a variety a moving supplies in the office, and even have parking spots for your RV. Our hassle-free monthly leases make sure that you're only paying for storage that you need, and our electronic security gate and professional onsite manager ensures that both you and your belongings are safe on the premises. 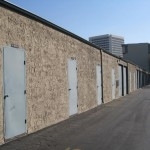 Reserve your unit today and take advantage of our free moving truck and driver! The people who run the facility are super nice and extremely helpful. Great pricing! Super easy to set up! Shannon who helped me when I got there was SO nice. I was a little nervous because I was getting a storage unit for the first time but she answered all my questions and explained everything to me. She was friendly, funny, and personable too. I donât think she works at this location regularly. This was the best pricing I could find in Orange County. It was very convenient and hassle free. The entire process of setting up , making the reservation and moving in was so convenient. I live in Hawaii and did this all via phone and email. My daughter was very happy as well as she needed an affordable convenient place to store her stuff for the summer while she comes home to Hawaii Thank you. The couple that runs the place, "good people"
I love this place. I love Carlos and Ava. I feel at home. Carlos is a very professional and awesome person to rent from. I would recommend to friends and family. Friendly, knowledgeable on phone. Excellent deal with discount. Happy welcoming, professional when I arrived to rent a unit. Awesome couple. Really sweet. Fabulous service. Always helpful in meeting our company's storage needs. Yes they are great. I have three separate storage companies. They're the best. Fast, easy. Got me out quick. Excellent service. Thank you Carlos and Ava. Great friendly service all the time. Meet me more than halfway and were very friendly and pleasant to deal with. Fabulous. Ava and Carlos Schott are the best. Never come here on Saturday. Carlos and Ava are awesome. I had two different storage company that I initially contacted. 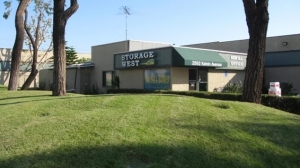 I chose Storage West because Carlos treated me kind and with respect. I will recommend this place highly. Super fantastic. Always a pleasure to deal with. Great personal service and quick, too. Wonderful people. As always Carlos and Ava are so nice and helpful and very professional. Carlos was amazingly accomodating. I would say we got A+ service. I have been your tenant for a number of years. I thought the former manager, Bill, was a great manager but Carlos and Ava are even better. Very happy. Excellent customer service. Carlos and Ava were extremely helpful and easy to work with. They advertise a free truck like many storage units do, but this one is actually 100% free. 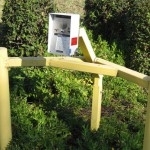 There is no deposit, no "one time" reservation fee, and no expense to replace the gas used. Carlos drives the truck and waits while you load it. For me, it was an easy cost effective move. 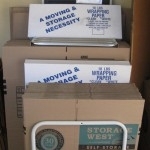 We just moved to Irvine from Los Angeles and the Storage West staff made it such an enjoyable experience to store our belongings. Carlos and Ava were so helpful and made it such a quick and pleasant experience.